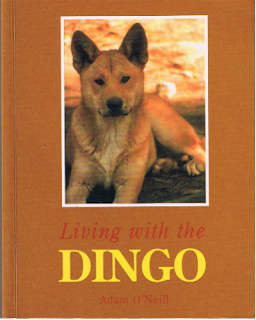 I would like to point out that this book is not about living with the dingo as a domesticated animal. It is about our nation living with the dingo as a wild and important predator. I first read Living with the Dingo by Adam O’Neill when it was published in 2002 and re-read it now as part of research I am undertaking for the biography of Berenice Walters, the Dingo Lady. At the time of writing O’Neill’s theories were somewhat controversial even though some earlier studies had been undertaken with the espousing the same they were largely ignored. His theories are not based on hypothetical desk top analysis. It is based on personal experiences and observations in a wide variety of locations and environments as well as review of scientific literature. His theory is simple. If Australia is to reduce stock losses and protect endangered species from extinction it needs to acknowledge the important role the dingo has in maintaining the environmental balance of country and take steps for its conservation not eradication. He give several excellent examples of how the dingo has maintained the balance of herbivorous macropods (in turn conserving grazing lands) and controlled introduced species that prey on small and threatened mammals. O’Neill advocates a “no poison” program in dealing with predators and justifies his belief that this only increases predation on stock with convincing examples. This is not a book full of scientific jargon but rather O’Neill’s observations and experience deliver a “Biodiversity 101” lesson at a practical level, explained in easy to understand language. Only when we put away the poison baits and concentrate on rehabilitating our environment as a whole, will our endangered species have any hope of survival. The dingo has 4,000 years of experience in managing Australian land systems and controlling the animals that existed within them. I believe the dingo is our only chance for eco-reconciliation. I believe I have gained more from the book this reading. Written 14 years ago O’Neill advocated the important role the dingo has in preservation of our small, vulnerable and threatened mammals. The intervening years have proven that the theory proposed by O’Neill, and many others in that period and since, is spot-on yet governments, including government environment agencies continue to ignore it time and time again. The more they ignore the obvious the more small mammals are added to Australia’s shameful list of extinctions. It was quite controversial at the time but today is gaining considerable acceptance – and yet our governments still haven’t learnt. 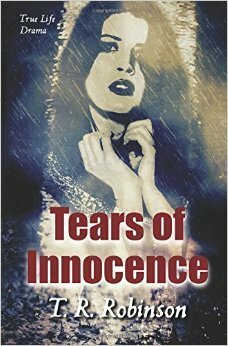 In April last year I reviewed “Tears of Innocence” by TR Robinson. The review is repeated below for those who have not read it before. The reason I am revisiting this review is to show you what the author has done with Pinterest to give potential readers a clearer image of her story. Please visit her Pinterest Boards https://www.pinterest.com/trrobinson25/ for the wonderful collection of graphics that depict her life story. TR Robinson’s story Tears of Innocence begins before the Second World War. 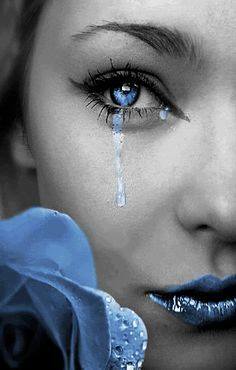 Her happy and innocent childhood is shattered following the death of her mother. To add further to her trauma she is kept in ignorance of the event and shunned by family members who believed a child did not need, or could not understand sufficiently, to grieve; as was customary at the time. Sadly this is only the beginning of her traumatic and troubled life. The author does not reveal her home country but it was invaded by German troops during WWII. In a desperate need to escape abuse she becomes separated from those she loves and trusts and lives on the streets or in terror of being abused yet again. Her young life is a roundabout of finding happiness then being hurt or lost, over and over again. After marrying an English naval officer she moves with him to England. His family adore her and she them. The welcome she receives fills the reader full of hope for her future happiness. It is not to be. The intertwining of Robinson’s life story with the background of history is undeniably gripping reading. There are two points the author makes in her Preface that the reader should note. The spelling is British English and her thoughts and emotions are in italics. My first thought when I read she had included her emotions in italics was “this is going to be annoying” It was anything but. I would not recommend this method for most authors. Robinson is a skilled writer and this way of clarifying how she was feeling at that moment of time draws the reader in; it felt like I was by her side all the way but powerless to help and support her. I usually make notes when reading a book for review. It must be an indication of how engrossed I was when I barely made a note or highlighted sections. This is an inspirational story that I highly recommend and look forward hearing that the author has released the second part of her trilogy.